About five years ago I had the privilege of visiting the Maasai Mara national reserve. It is the largest game reserve in Narok Country in Kenya. It is globally famous for its exceptional population of lions, leopards and cheetahs, as well as the annual migration of the wildebeest to and from the Serengeti every year from July to October, known as the Great Migration. When visiting the reserve in the ‘security’ of a four-wheel drive Jeep and with a Maasai warrior as a driver, you are humbled by the size of the animals. Few would argue the fact that nothing brings greater satisfaction on an observatory safari than seeing a pride of lions. Out of all the animals Peter could have used to describe the Devil, he uses the lion. This carnivore grows to six-and-a-half feet in length and can weigh more than 500 pounds. Many times in the Bible, God uses the natural to explain the spiritual. Here we have a simile used of the Devil as a lion. What are some insights that we can gain from just these two verses? First of all, the Devil is on the prowl, just like a lion looking for anyone to devour. Notice that he is not ‘choosy’ nor does he show favouritism. The Devil, just like a lion, will consume whoever he can get. 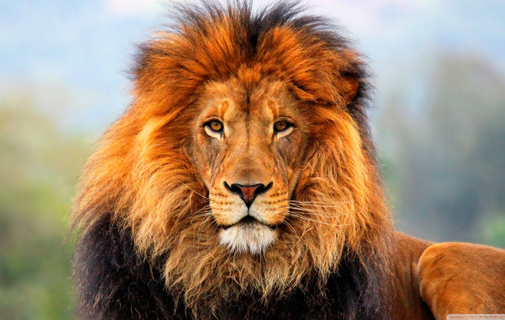 When visiting the Maasai Mara you learn the lion or lioness looks for only three characteristics in their prey… weakness, ignorant in youth, and those greatly injured. How can the Christian learn from this? Well, your spiritual condition is crucial to how susceptive you are to the enemy. Many believers do not get into the Word of God and lean on the power of God’s Spirit to help them so they tend to be weak. Others who have just accepted Christ need to surround themselves with wiser more ‘seasoned’ believers. Most times a characteristic of youth is to be over-confident and ignorant of pending danger. The final characteristic lions go after are the injured. The idea in the Bible is most likely one who has been wounded and stuck in their pain from their disappointment, depression and despair. In other words the Devil looks for those who are weak spiritually, young yet ignorant, and discouraged, hence remaining in a state of injury. Notice one thing is clear — the Devil is out to ‘devour’. The word ‘devour’ means “to drink, to lick, to slurp up”. It presents an unwavering commitment to finish the job he stated to totally rob, kill and destroy. So where is the hope here? Well, Peter gives the remedy to overcome the evil one… Be self-controlled, which means to be disciplined, and be alert, which means to be consistently watchful. Don’t let your guard down — continue to be observant as he looks for an opportunity to pounce. Peter also adds, to resist him. Notice the Bible talks more about resisting the Devil than rebuking him. He then tells us to stand firm in the faith because you are not alone in your battle to obey God, and not to give into temptation as that will allow you to be caught off-guard. As you go about your week, be reminded that the enemy is looking for the weak, young and injured. Yet God is able to sustain you as you remain self-controlled and alert. Resist him and stand firm in the faith. Your future survival and success in the Maasai Mara of the world system depends on it. Gary Simons is senior pastor at the Cornerstone Bible Fellowship. Contact 295-9640.